The FINA World Aquatics Day began in Port Moresby at 9am on 1st July, 2017 at the Taurama Aquatic Centre (TAC) with the introduction of Water Polo. 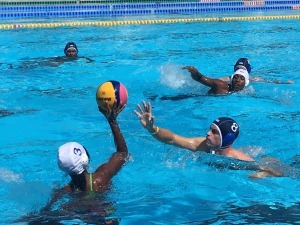 Young and old came together to play a new aquatic discipline with Papua New Guinea Swimming Inc. (PNGSI) hosting and celebrating the inaugural event with a round robin game of water polo. “The FINA World Aquatics Day was officially launched in 2017 to celebrate and encourage the power of aquatic sports for social wellbeing and development in all corners of the world,” said the FINA President Dr Julio Maglione. 208 National Member Federations affiliated to FINA were invited to celebrate this Day. The day provided an excellent opportunity to introduce, promote and encourage the sport of Water Polo into Papua New Guinea. Non elite athletes, children, swimmers, past swimmers, coaches, technical officials all came together to partake in the event with a common objective; to enjoy aquatic physical activity. 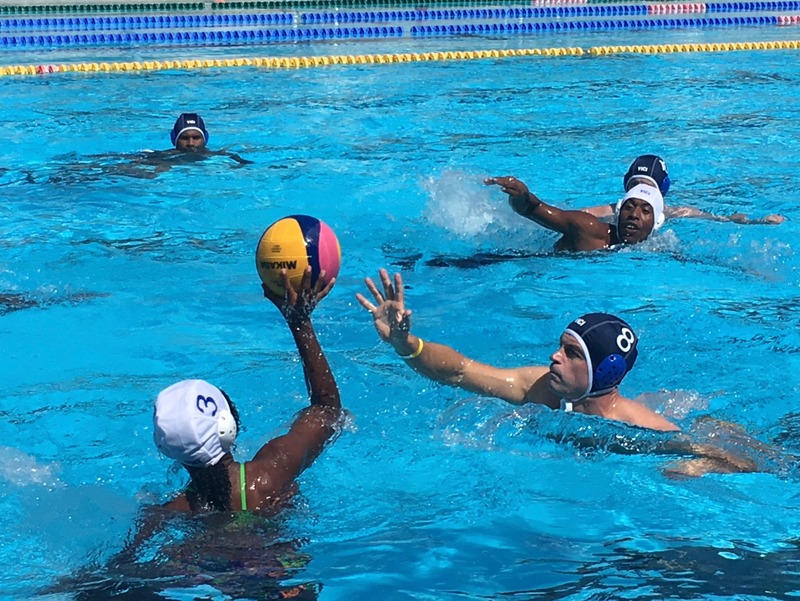 “We were very fortunate leading up to the FINA World Aquatics Day to have a FINA Development Water Polo Clinic for coaches that was held in Port Moresby at the Taurama Aquatic Centre,” said PNGSI President Elizabeth Wells. The game of water polo is an international sport and is played by two teams of seven players, six field players and one goal keeper. Game play involves swimming treading water (using a kicking motion known as “eggbeater kick“), players passing the ball while being defended by opponents, and scoring by throwing the ball into a net defended by the goal keeper. The duration of a game is four eight minute periods. Time commences at the start of each period and the clock is stopped throughout the game during stoppages with time resuming once the ball is put back in the field of play either by a player taking the appropriate throw or when the ball is touched by a player following a neutral throw. The sport combines speed and strength, as well as teamwork and a high level of fitness. The sport of Water Polo is governed by FINA the world body of Aquatic Sports, and is played in over 100 countries. It is an energetic sport which emphasises swimming ability and ball skill over toughness. It is played by both men and women of all ages and abilities. Concluding, The FINA World Aquatic Day in Port Moresby Papua New Guinea was well celebrated and enjoyed by all who participated.